Better than the first film, director Dennis Gansel relies too heavily at times on close shaky-cam quick-cut action scenes. The script by Philip Shelby and Tony Mosher is more convoluted than necessary for a rather straightforward action film. Because of this the story requires a bit more set-up, following the open action sequence, before the movie really gets going. 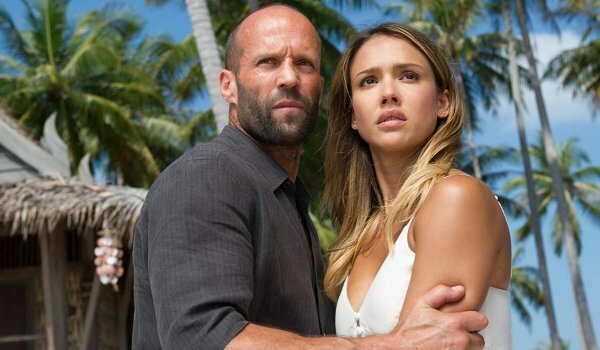 The set-up is really just an excuse to throw Statham into action scenes in multiple exotic locales (Thailand, Brazil, and Australia). On that level it works pretty well, especially during it's best scene involving Bishop's murder by swimming pool. Like many B-movie action flicks the story doesn't give the women of the film much to do. Alba is cast as the delectable bait who is both willing to cozy up to a murderer under false pretenses and put her life in his hands after he discovers the deception. The movie sets up her having military experience before become an aid worker, but doesn't offer her much opportunity to show off those skills. Michelle Yeoh has a small role as Bishop's longtime friend, but she's kept out of the action. 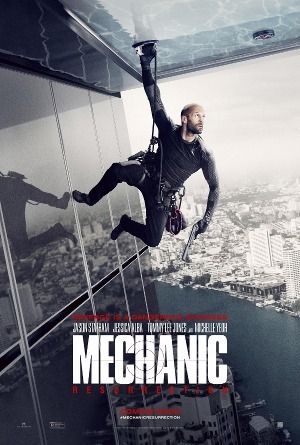 For those looking for a fun action flick they could do worse than Mechanic: Resurrection. The locales, the difficulty of Bishop's assignments, and Statham make for an enjoyable (although far from great) experience. Sure, there's plenty to nitpick (including one scene where I'm almost certain Bishop shoots a handgun nearly 30 times without ever changing the clip), but judged against the loose logic of its genre it's better than I expected. And, as an unexpected bonus, it delivers Tommy Lee Jones in the actor's wackiest role since Under Siege.